Since the 1960s, the Bay Area’s repertoire of Chinese dishes has continued to expand beyond its Cantonese roots. Just in the past few years, multiple restaurants specializing in underrepresented foods from Xinjiang and Shaanxi have opened, and dishes from Guangxi, Wuhan, and Jiangxi have become available. You could eat at Bay Area Chinese restaurants every night for a month, devoting each meal to a different region of China, ethnic group, or international community, and never repeat a restaurant or style. 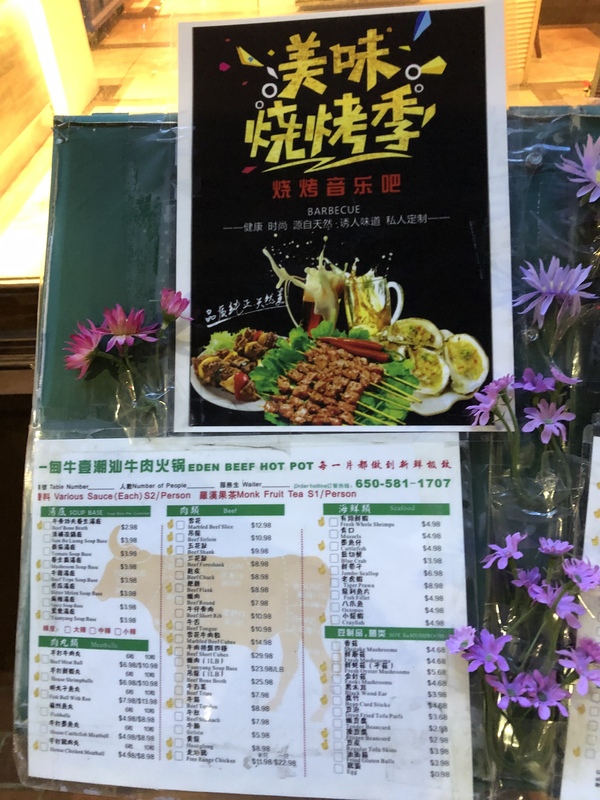 To help make sense of the diversity of Chinese cuisine available in the Bay Area, this project aims to document restaurants that specialize in a regional, or ethnic-based, Chinese sub-cuisine, or at least have uncommon regional dishes. 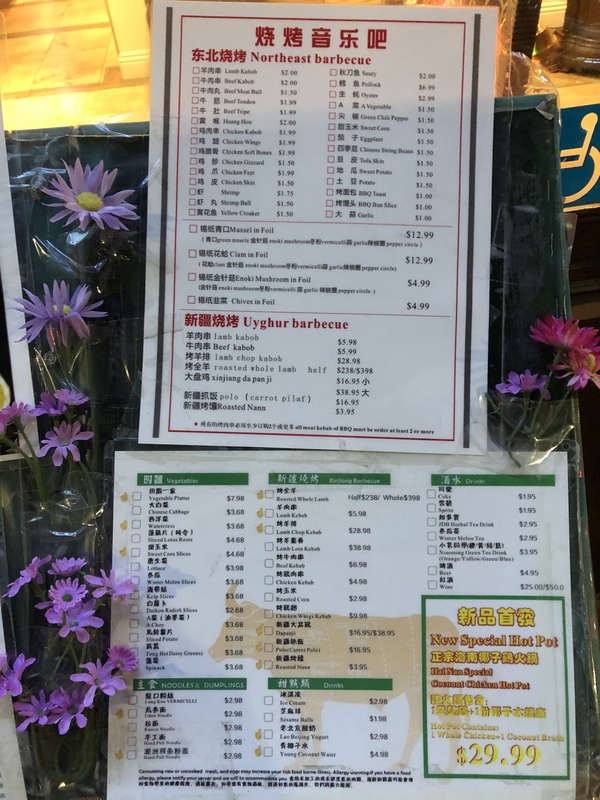 The list is a superficial treatment, but it will point you to over 350 restaurants whose specialities fall outside the general Cantonese or Chinese American umbrellas. Regions of course don’t live in a vacuum, and a chef’s pedigree (or menu) says nothing of their skills at making regional dishes. Treat these categories as rough guidance, and be warned the list includes outstanding restaurants and real stinkers. 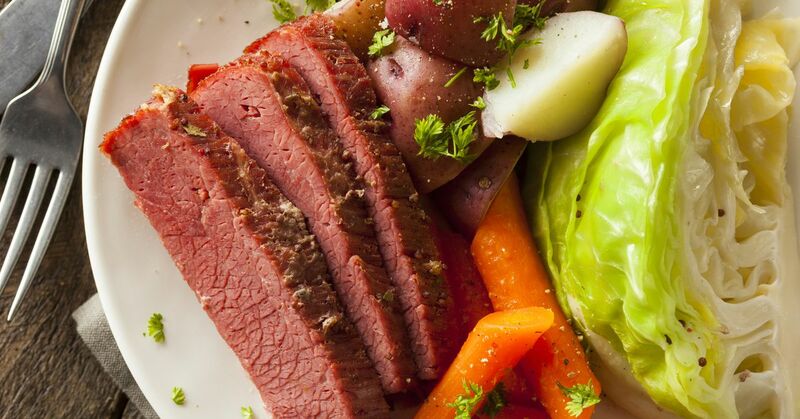 For a more in-depth discussion of a restaurant or regional cuisine, and to help separate restaurant specialities from fool’s gold, check out linked discussions on Hungry Onion or start a new discussion to get the ball rolling. 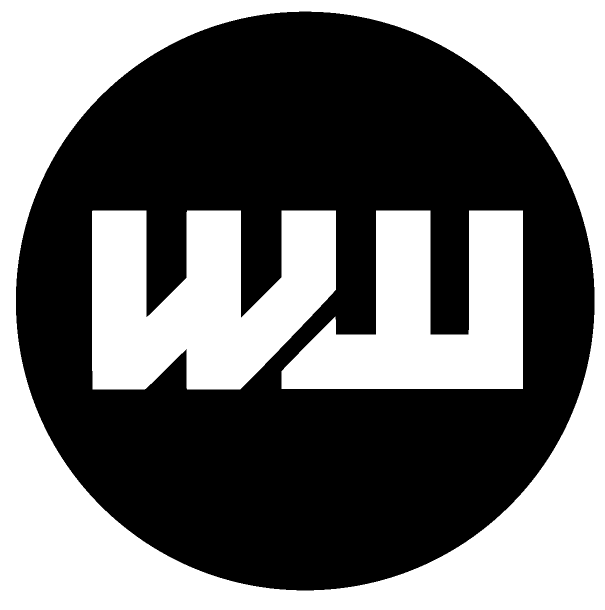 I’ve also included links to Chowhound discussions and journalist reviews, and each restaurant is linked to Yelp for address and location info. For more background on cuisines/dishes, I recommend looking through Carolyn Phillips’ website and book on regional Chinese cuisine, All Under Heaven. Her Vice article is an excellent primer. Also check out Clarissa Wei’s regional Chinese guide to LA and Jim Thurman’s Essential Guide to Regional Chinese Food in LA . Some Cantonese sub-categories are included, but let’s focus on Cantonese (i.e., Guangdong) and Hong Kong in other posts since they form the foundation of the Bay Area’s Chinese cuisine, and have lots of specialty shops worthy of their own discussions (e.g., dim sum, desserts, meats, etc.). Please add new discoveries and let us know if anything has been mis-characterized, especially if a place’s menu doesn’t reflect the purported region. This initial post is a wiki, so I can update it with your tips to keep things current. Version 2.0 of this list is on Chowhound. Skyview Noodle Tea (Pittsburg) HO Chef Jing is from Gansu, and menu items are similar to Shaanxi restaurants. Currently, knife-shaved noodles rather than wide hand-pulled. Noodleosophy (San Mateo) choice of protein, dry or soup, on wide hand-ripped noodles or pulled noodles. Liang pi too. See the hand-pulled noodle primer for places with Lagman aka Legman aka Xinjiang ban mian 拌面 aka Latiaozi 拉条子 aka Shou lamian 手拉麵. Shandong owner and/or food, with no direct nod to Korea. Most Shandong dishes are noodle, bun, or dumpling related. Geographical usage here, but note that the terms “Mandarin Chinese” and “Northern Chinese” are sometimes used as all-inclusive terms to describe that which is not Cantonese or Cantonese-American. Boiling Beijing (San Bruno) CH, CH Hand-pulled noodles. Royal Feast (Millbrae) Award winning Chef Liu was the executive chef at Beijing Grand Hotel, and Melanie Wong found him here after savoring his food at China Village and in Fresno. See CH thread and Chowdown report. Tian Jin Dumpling (Oakland, Chinatown, not a full service restaurant, just a window) CH; Luke Tsai no longer sells dumplings. Mingle’s Mango (San Jose) hand-pulled noodles. Also has eight varieties of Xiao long bao (including Godiva chocolate & hazelnut, and, to my knowledge unique to them in the Bay Area, lamb); a few starters, hand-pulled noodles appear to be the wide variety. Noodle soups include a vegan tomato and egg (Shaanxi inspired?) and Sichuan/Chongqing types. Chinese name is 北斗心軒 and the owner is a big Dragonball fan. Yi Yuan (Millbrae) / Yummy Szechuan (Millbrae) HO; CH, CH Chef Hu Wen Jun trained at Shijiazhuang Culinary Academy in Hebei. Also has hand-pulled noodles. Other Northern, descendant/affiliated with Hebei born restauranteur, Qinghe Li (h/t @souperman). See also takeout only Yummy Dumpling. See Fuchsia Dunlop’s book Land of Fish and Rice, xiao long bao discussion, and sheng jian bao discussion. Xiao Long Bao Kitchen (South San Francisco) home of the Bay Area’s first whopper sized XLB, sister restaurant to Milbrae’s Shanghai Dumpling Shop. Gangnam House (Milpitas) Menu lists Yangzhou-style dishes in English as “Gangnam style”. By name, most, if not all of these dishes are available elsewhere, but noted because it has an owner from Yangzhou according to Yelpers and more info is desired. See also Fuchsia Dunlop’s Revolutionary Chinese Cookbook. Bai Xing Jia Hunan Fusion (San Jose) Sichuan/Hunan. Has uncommon Sichuan dishes like bobo chicken. Easterly (Santa Clara) says it’s Hunan. Sichuan dishes are popular on non-Cantonese menus, but these restaurants are more focussed. Many of these have dry pot options too. See also Fuchsia Dunlop’s Land of Plenty and the Hungry Onion Sichuan/Chongqing noodles thread. There are a few local chains in the mix, as well as a contingent of East Bay chefs who once worked at China Village. Royal Feast (Millbrae) Chef Liu was the executive chef at Beijing Grand Hotel, and Melanie Wong found him here after savoring his food at China Village and in Fresno. See [CH thread] (http://www.chowhound.com/post/royal-feast-sichuan-tanjia-cai-millbrae-1045232) and Chowdown report. These restaurants promote that their owners or chefs are trained in Chongqing, or refer to a large number of dishes as being Chongqing or 山城 (“mountain city”) style. Wok This Way (Inner Richmond) Chef Wang worked for 10 years at a Chongqing chain, Qiaotou Hot Pot. Dry pot is available as a part of many Sichuan, Hunan, and other restaurant menus. These restaurants appear to specialize in dry pot. Hai Di Lao Hot Pot (Cupertino) Mainland chain, known for service. The noodle-puller dances for the “Dancing noodle”, a wide hand stretched noodle. Yang’s Beef Noodles (Union City) HO, the Bay Area’s first Guizhou restaurant. Focussed menu. See also The Cleaver Quarterly’s article on Teoswa cuisine. My understanding is that these reflect the cuisine of Teochew speaking people who immigrated to the US from Southeast Asia. See also the Hakka Cookbook. See also bubble tea, shaved ice, Taiwanese fried chicken and various Taiwanese bakeries and desserts. Cambowan (San Mateo) Taiwanese and Cambodian! Taiwanese "military dependent’s village cuisine"
See KK’s Regional Cantonese primer. Some scattered Shunde and Zhongshan Cantonese dishes in Millbrae at Gourmet Village, the Kitchen, Zhong Shan Restaurant (SF Parkside), and Champagne restaurant (San Mateo). See also dim sum, Cantonese seafood, Chinese bakeries, Chinese BBQ or roast meats, wo choy, clay pot, banquet, congee / jook / porridge, Taishan / Toishan, Cha Chaan Teng, HK Cantonese, Hong Kong cafe, Hong Kong western cuisine, and restaurants Yum’s Bistro and Cooking Papa. 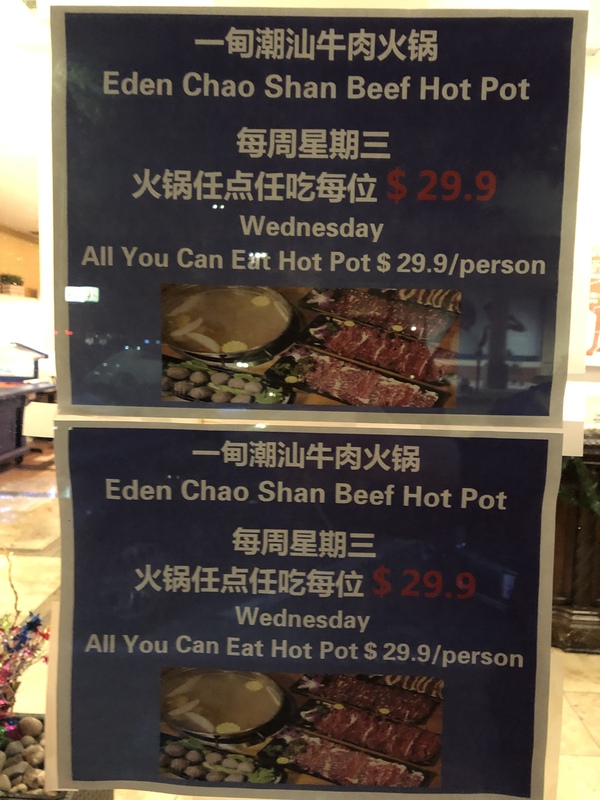 See also hot pot, dry pot, and Chinese hybrid cuisines such as Peranakan / Nonya (Singapore / Malaysian Chinese), and of course Chinese American, American Chinese, the elusive “NY Cantonese”, Kosher Chinese, Chinese fusion. See Chowhound and SF Chronicle coverage. Many of these have Dongbei side dishes and soups. Please open a new thread if you have info on these places! MOMO Noodle , a food truck, mentions “family recipes” for what they refer to as “bàn miàn”. Anyone have insights into their brief menu? I thought “bàn miàn” was the same as “lo mein” (the Cantonese dredged egg noodles, not the Northeast Chinese American derivative), but the dishes, have more of a Sichuanish persuasion, perhaps the owner’s contemporary spin. Taste (Palo Alto) HO Sichuan and Beijing specialties. Chef used to work at Chili House in SF. In 2013, @chandavkl asked why there weren’t more Chinese restaurant chains. 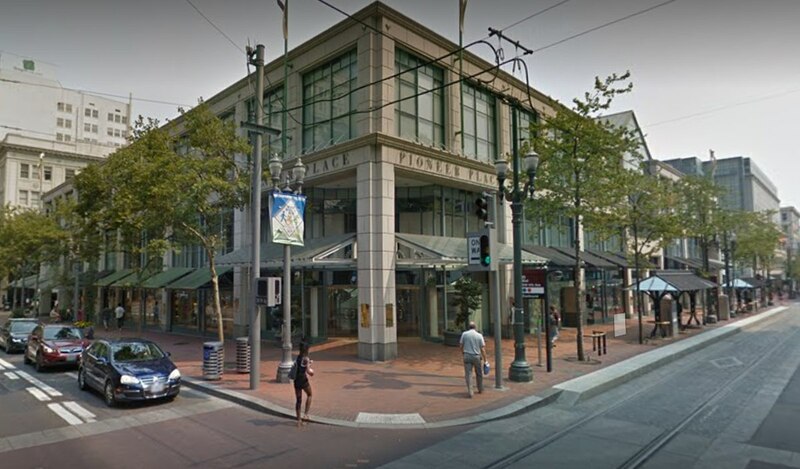 By 2016, he commented on the influx, and in 2018, several have opened, which matches a broader trend of chain Asian restaurants opening in the SFBA. Here’s a running list. I’m generally leaving out pastry/dessert and tea shops, as they’re too numerous to keep track of. Tasty Pot, which originated in San Jose (according to Luke Tsai), now has 17 locations in North America. Category description in progress— contains Celebrity chef, contemporary Chinese-American, and renowned Chinese chefs. Dumpling Time (SF SoMa) venture by Kash Feng, Shaanxi born owner of Michelin starred Omakase. Eight Tables (SF Chinatown) Si Fang Cai or ‘Private Chateau Cuisine’ tasting menu upstairs of George Chen’s China Live. Jonathan Kauffman of the San Francisco Chronicle wrote about us and our thread today! What does SGV have that SFBA does not? The 207 replies from Dec. 17, 2017 to Dec. 7 2018 are archived here. dumpling station ( Sunnyvale) Shanghainese. Soup filled Sheng Jian bao look awesome. Shangrila Vegetarian Restaurant (SF Outer Sunset) CH, which was certified Kosher. Tie Ge Restaurant (San Jose) hotpot/skewers, will become Shang Cafe according to a yelper. Hu Tong Jian Bing at 140 S. B St in San Mateo has original, curry chicken, beef stew, roasted duck Jian bing. They’ve been open 10 days, and it’s a pop-up a business that (used to be?) Elixiria. The guy I spoke to said the owner is from Beijing, and started cooking Jian bing at the Berkeley uji time location. The batter is wheat flour and water, and these have a crispy wonton rather than a you tiao (long savory doughnut). At the San Leandro restaurant, enjoy pork dumplings in their soup-filled and crispy forms. Although I didn’t love everything on the menu at Xiang Yuan Xiao Long Bao, I’ve come back several times for the xiao long bao and sheng jian bao. 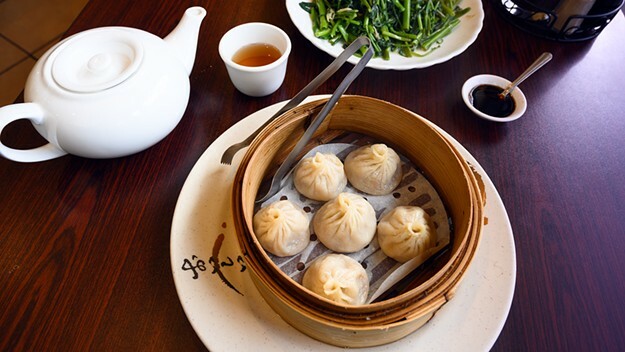 There might be better xiao long bao out there if you’re willing to spend an hour driving and many more hours waiting, but at Xiang Yuan Xiao Long Bao, you don’t have to. It’s a place where you can easily get above-average, reasonably priced dumplings any day of the week — and that in itself makes it worth a visit. The San Mateo Eden Silk Road, once Uyghur food with random Chinese dishes, has had skewer and hot pot menus for a while. Anyone been or had their “Chao Shan beef hotpot?” They are next door to Little Sheep, so probably get overflow. That’s the weirdest combo- Uyghur food and Teochew hotpot? Xiang Xiang noodle in Cupertino is closed. it’s apparently one of the most famous dishes of Shaanxi. Maybe hard to find because it’s a very laborious process to make. Final product looks like an ancient version of KFC here. The restaurant has Soleil Ho’s name written all over it. Nothing. I think one of her intro articles says that she likes Shaanxi food. Hanlin Tea Restaurant on Kearny’s website says, “We will be closed permanently after 12/31/2018. We apologize for any inconvenience”. I wonder what happened there? Also, someone on Chinese language Facebook group SFHappyeaters reports that Yang Kong Street, a US-based restaurant Taiwanese-ish/dim sum seeming to aim for a Din Tai Fung vibe, has opened in a MIlpitas mall. According to a Portland paper, "Yong Kang Street Noodle and Dumpling House is a franchise of a Las Vegas-founded dim sum spot with locations in the New York area, conceived by food court management company HIG Management "
Expect Taiwanese noodle soups and a 20-deep variety of dim sum items like old-school har gow, char siu and shiu mai. Looks like they have Franchises in Houston, and the northeast too, and the locations seem to have some autonomy. The restaurant’s Vegas Facebook page shows DTF-level XLB, but Yelp photos show machine-made ones, cracked and spilling into metal cups. Will the local one be up to Milpitas standards? Noodle Home (Castro Valley) Chinese name translates to “Northwest Hand Pulled Noodles”, similar stuff as Shaanxi restaurants. I wonder the chef is from recently closed Northwest Noodle House in San Jose. Royal Cuisine (Cupertino) Northeastern … and Sichuan of course! I believe Yong Kang Jie is a famous food street in Taipei. What: Panelists Carolyn Jung, Luke Tsai, and Jonathan Kauffman will explore the Chinese food landscape in the Bay Area, including regional cuisines, what’s trending, and what to order. All Under Heaven author Carolyn Phillips moderates. Appetizers like dongbei potstickers and wild mushroom egg rolls come from China Live. Details: Held from 5:30 to 8:30 p.m. at China Live, 644 Broadway. Tickets cost $25 for SFPFS members and $65 for everyone else. What, no Hyperbowler or SCK!? I’m gonna boycott this event!